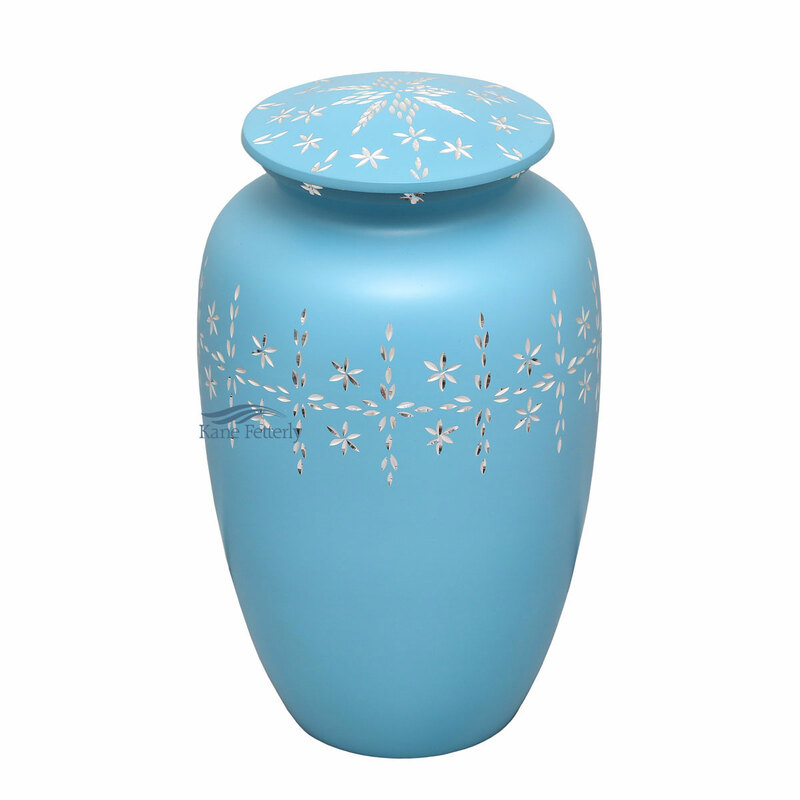 Aluminum urn with baby blue finish and pearl engraved motif. 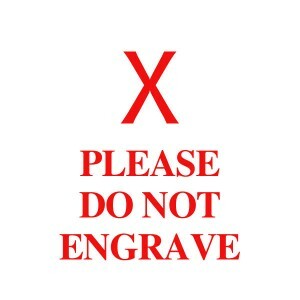 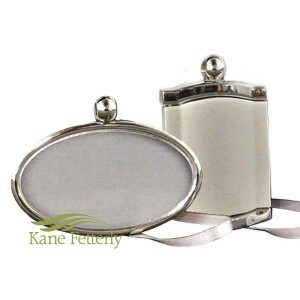 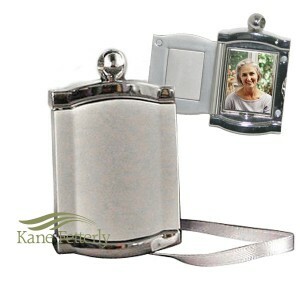 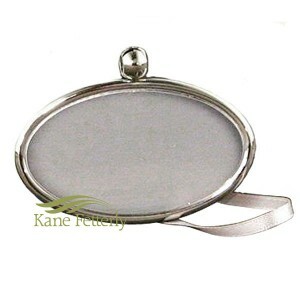 The urn can be personalized with an engraved pendant. 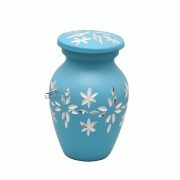 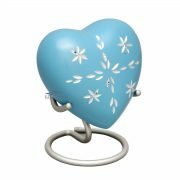 Also available as a miniature urn and miniature heart.